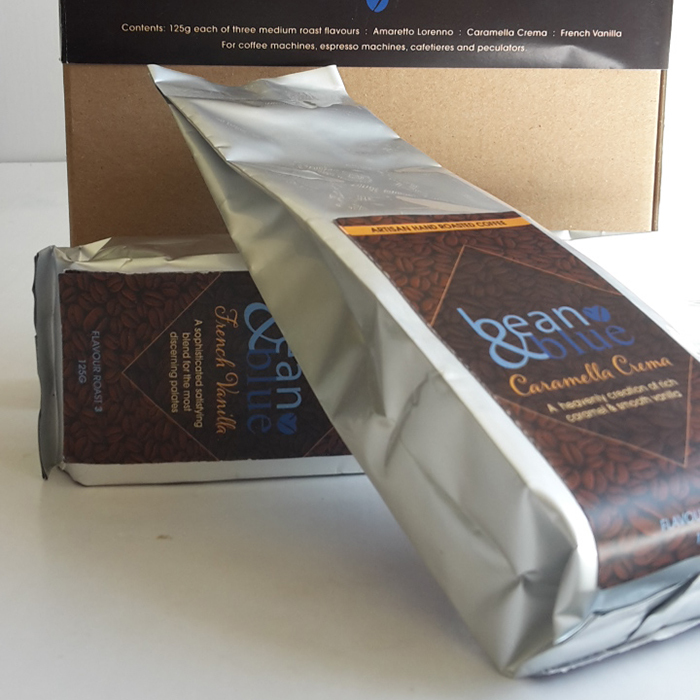 An exquisite gourmet coffee gift pack made with the finest Arabica coffee beans, roasted, flavoured and readily ground suitable for espresso machines, cafetieres and percolators. A sensory delight of flavours and taste 100% Arabica beans sourced from central America. 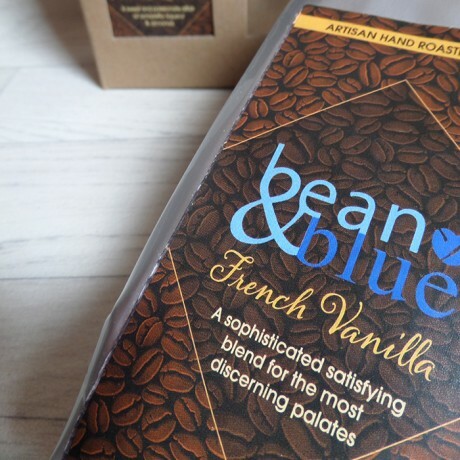 The coffee is roasted and flavoured by hand in Bean & Blue's roastery in Hertfordshire with over 50 years of selecting and blending experience. The Arabica beans are carefully selected and roasted, then left to rest in Bean & Blue's quality flavour ingredients for 24 hours to ensure the flavours completely infuse the coffee. The coffee is then roasted in small batch quantities so you know that it will reach you freshly roasted and in the best possible condition. 1 x Amaretto Lorenno (125g): A sweet and passionate affair of amaretto liqueur & almonds. 1 x Caramella Crema (125g): A heavenly creation of rich caramel & smooth vanilla. 1 x French Vanilla (125g): A sophisticated satisfying blend for the most discerning palates.